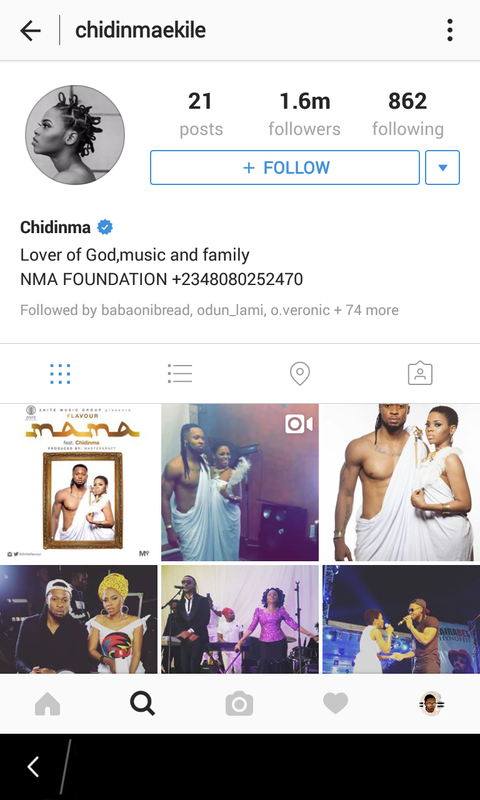 Chidinma deleted all her instagram pics leaving that of herself and rumored lover Flavor. 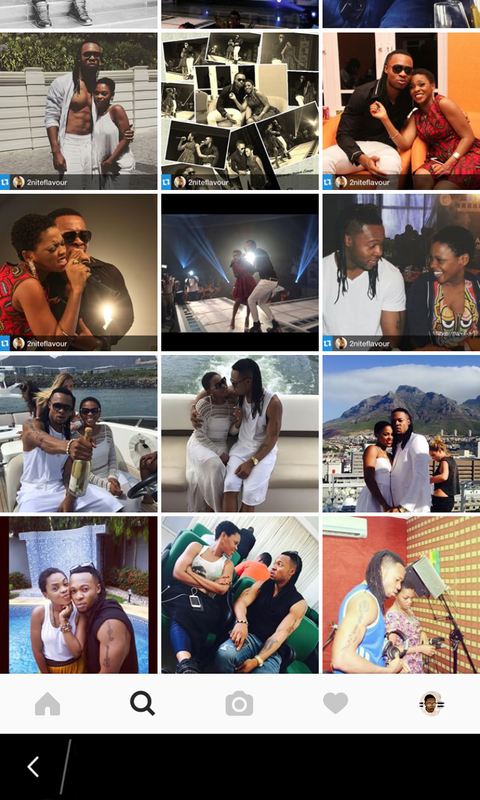 Am not sure if am the only one seeing this but I just realized the singer Chidinma Ekile deleted all the pictures on her Instagram page except those of her self and her rumored lover flavor either together or separately... what is she trying to say? Is she saying yes to the media claims of the duo secretly dating or what?... 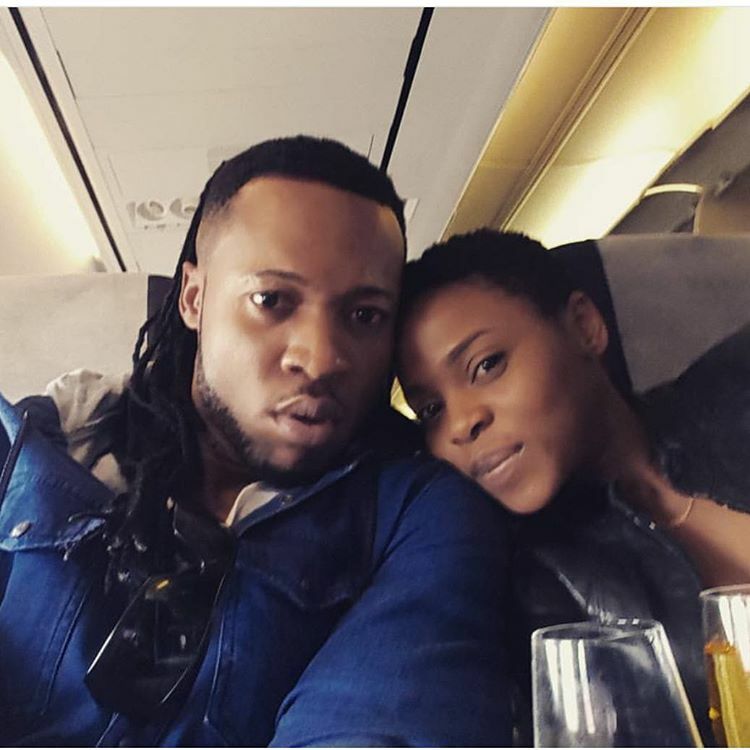 any way, they look good together though and am so sure she would delete the rest of the pics when this post gets viral to refute my claims but mind you I always have screenshots. see screen shots below.